New Texas law allows you to take the Texas LTC class ONLINE anytime 24/7. No more spending all day on the weekend sitting in a crowded classroom full of people. You can now take the official Texas online license to carry class from the comfort of your own home, on your own schedule and at your own pace 24/7 for only $60. You can take our online Texas LTC class on your desktop, laptop, iPad or even on your smart phone while sitting on your sofa! Our online Texas LTC class is only 4 hours long and you can take it at your own pace. You can stop, log out and log back in and pick up right where you left off. The class is easy! Our Texas online license to carry class is only $60. You get the best in Texas for less. We make getting your Texas license to carry easy! 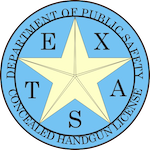 Our Texas online license to carry class is certified and approved by the Texas Department of Public Safety handgun licensing division and is accepted by them as meeting the classroom training requirement needed to get your Texas license to carry. Anyone from anywhere in Texas can take our official Texas online license to carry class regardless of what city you live in. We are certified license to carry instructors and our online course is approved Statewide. As soon as you complete our online class, you will be able to instantly download your official LTC 101 certificate of training. 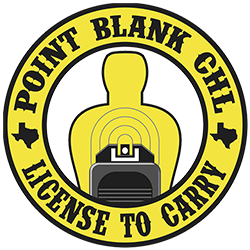 You can take our Texas online license to carry class and use ANY local LTC instructor in your area to complete the range instruction/ shooting portion for you. Our online students will get access to our instructor locator to find a instructor in your area for you. All you have to do is take the LTC 101 certificate of training you get from us to that instructor. If you are in our area, we will complete the range instruction/shooting portion for you. Those not in our area can use ANY LTC instructor in their area to complete the range portion. State license fees are separate from the class fee and are payed directly to the State when you submit your online application to the State. We cover the application process in detail in our online class. The “class fee” is the same for everyone.